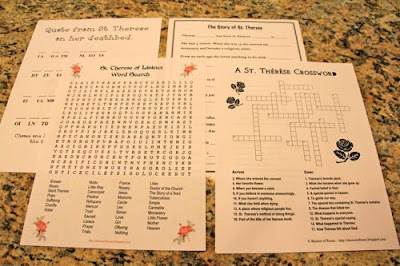 Since the printable activities for St. Thérèse that I had linked to in the past are no longer available, I spent a little time last night creating some of our own. I uploaded them to share, if any of you are looking for any additional activities to celebrate this dear saint's feast day(s) with your children! You can find all sorts of other ideas for celebrating this feast in the archives! 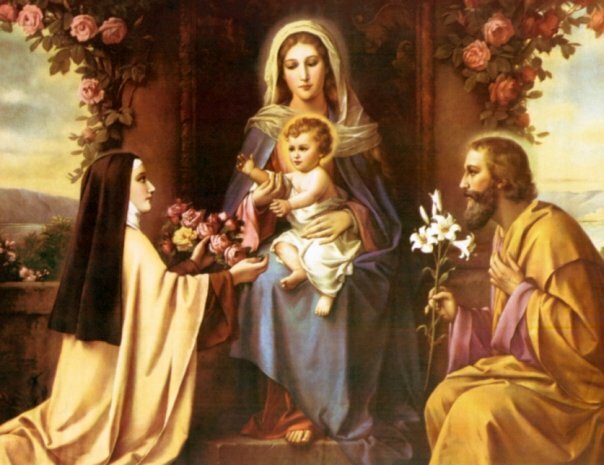 Happy Feast of St. Thérèse! Oh these are so great!! Thank you so much for posting them, your blog is a gem. Thanks for linking up your ideas to my blog too.